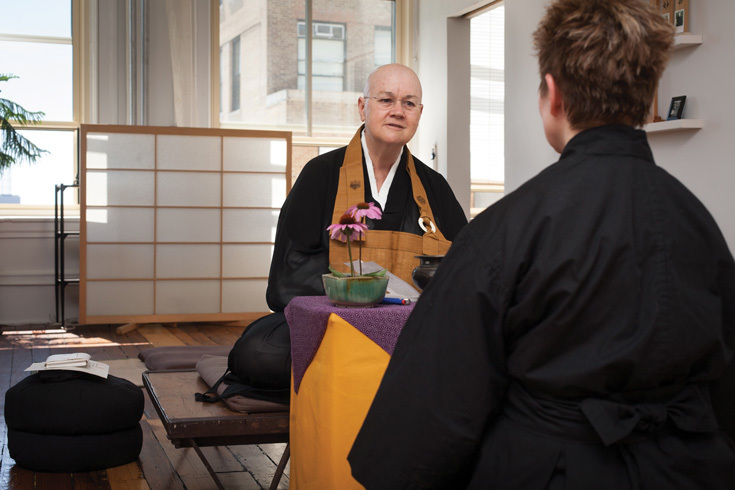 A lifelong outsider, Roshi Pat Enkyo O’Hara leads a warm and engaged Zen community in New York’s Greenwich Village. 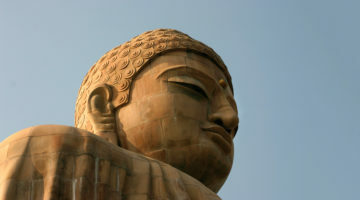 Lindsay Kyte profiles one of Buddhism’s leading teachers. From the January 2019 issue of Lion’s Roar. 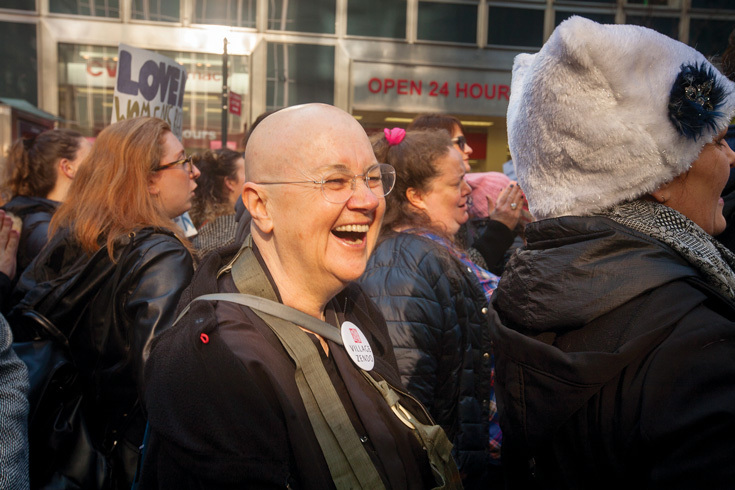 As a young white girl growing up in Mexico, as a single parent in a Buddhist sangha, and as a gay woman teacher of Zen, Roshi Pat Enkyo O’Hara has always felt like an outsider. Her spiritual journey has been a search for connection. 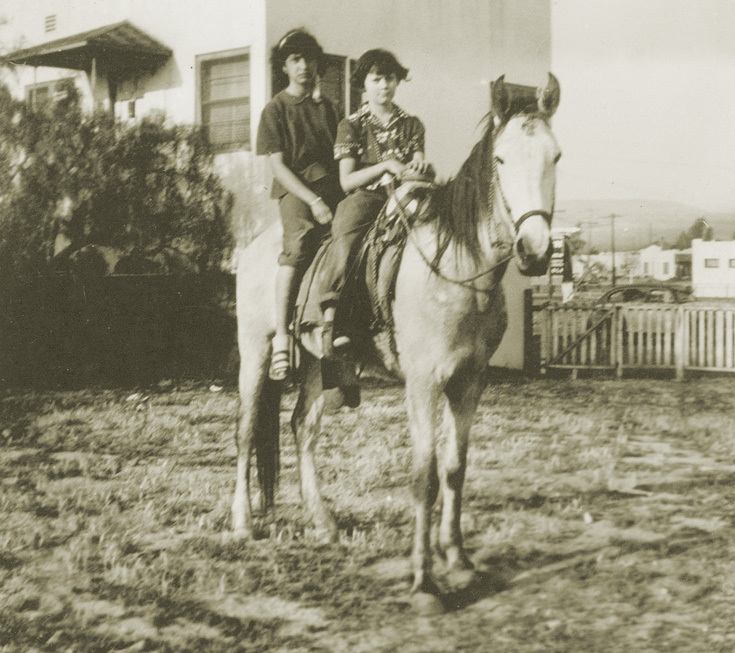 As a little girl growing up in Mexico, Pat Enkyo O’Hara keenly felt “other.” She is seen here riding her horse in Tijuana. At UC Berkeley, O’Hara studied English literature and did doctoral work at New York University in media ecology. She worked as a professor in New York, traveled to many countries, and became a single mother. She read Buddhist texts throughout but couldn’t find a good situation where she could practice in earnest. It was always Zen for me. I have sat in other Buddhist communities, because I love them and I appreciate all traditions. But my heart’s always been with Zen. 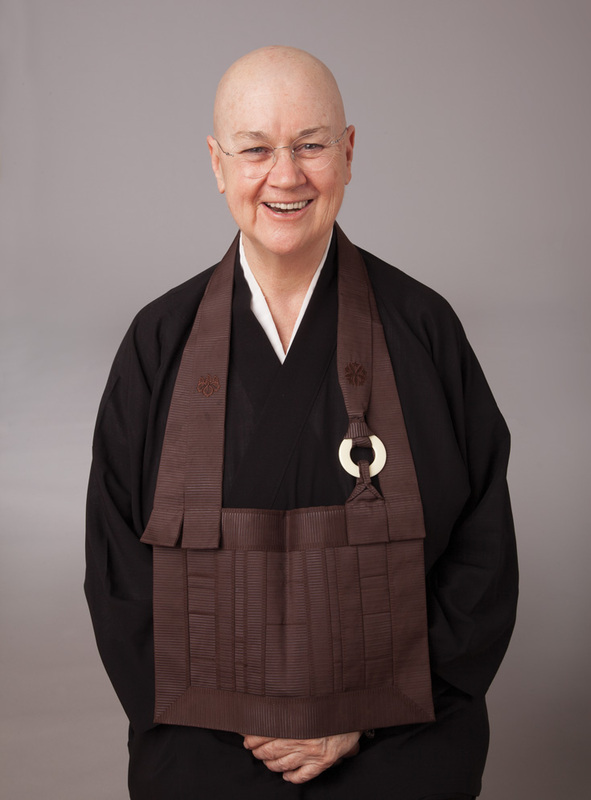 When her son was old enough in the early 1980s, O’Hara began to practice at Zen Mountain Monastery in Upstate New York with the American Zen teacher John Daido Loori, Roshi. But the challenge of heirarchy remained. 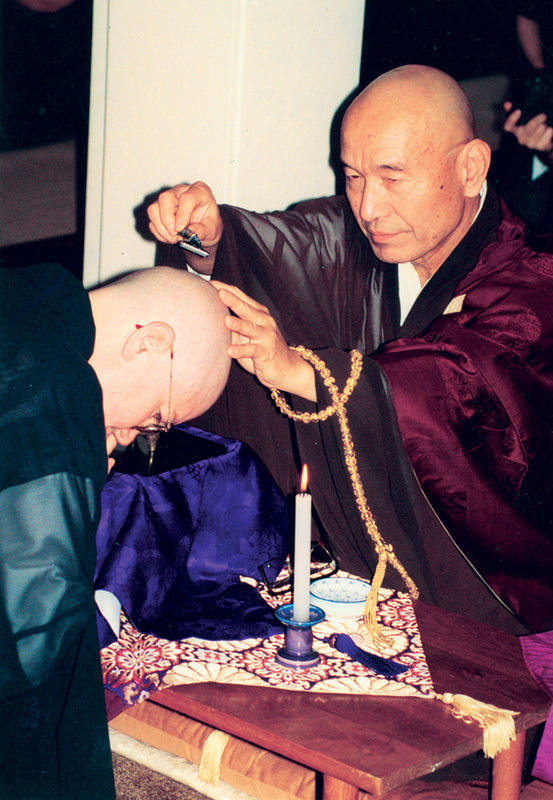 Taizan Maezumi Roshi at O’Hara’s ordination. Photo courtesy of Roshi O’Hara. When Maezumi Roshi died, O’Hara received dharma transmission from Roshi Bernie Glassman, one of Maezumi’s leading students, who died earlier this month. 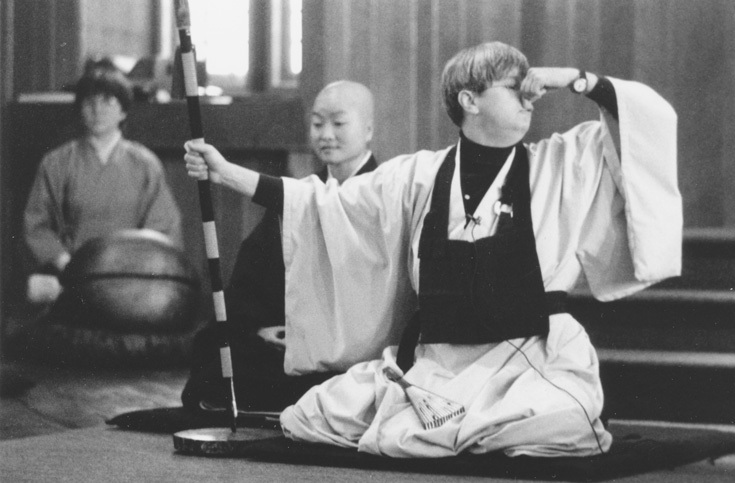 Glassman’s focus on social engagement and peacemaking came to underlie much of her vision of Zen practice. As O’Hara was pursuing her spiritual path, she taught media studies for twenty years at New York University’s Tisch School of the Arts. Her approach to information technology and the way we consume media mirrored the paradigm-shifting character of Zen. As O’Hara worked to connect people through technology, she realized what she needed in her own life was connection through a Buddhist community. Sometimes when I’m out on the street it seems to me that people’s faces are like flowers. 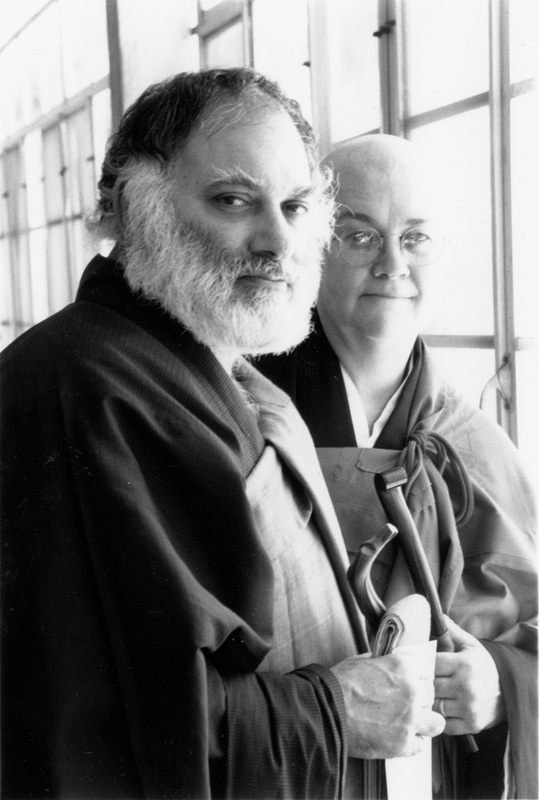 O’Hara with her partner Barbara Joshin Sensei. 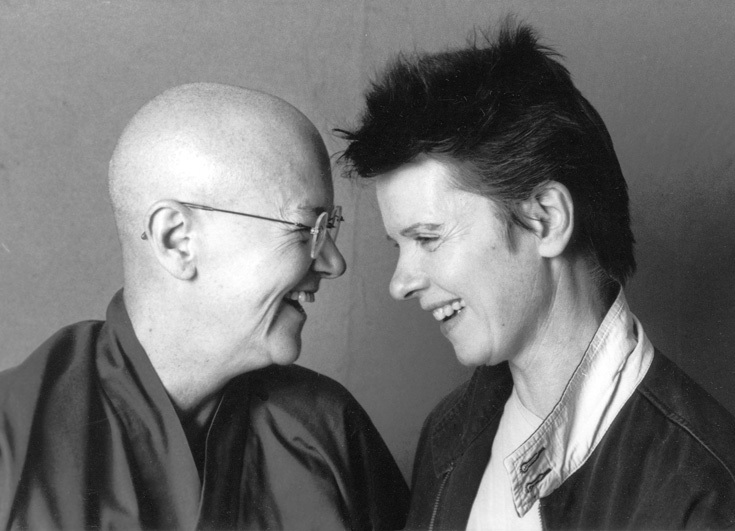 They founded the Village Zendo together in 1986. The Village Zendo moved into a new space in 2000, but when 9/11 hit, they watched from the windows as injured and terrified people ran up the street away from the World Trade Center. O’Hara says that terrible experience tainted the space in their minds and hearts, and they eventually moved into a new location in Soho, where Village Zendo has been for more than a decade. Roshi Bernie Glassman, who inspired O’Hara’s passion for social justice. Photo courtesy of Roshi O’Hara. 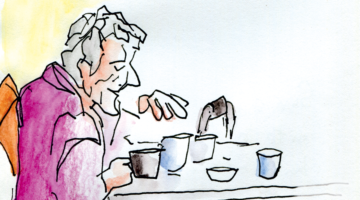 The Village Zendo welcomes people of all faiths and has introduced identity groups for practice, such as a people of color group and a people with disabilities group. Sangha members also accompany people to immigration court to offer comfort and support, run a prison dharma group, write weekly letters to people in solitary confinement, and organize street retreats—a practice of living like the homeless that was developed by Roshi Bernie Glassman. O’Hara did one street retreat while she was a professor. “I planted myself a couple of blocks from NYU on the sidewalk, begging for money,” she says. “Colleagues and students would walk right past me and not see me—because we don’t want to see tragedy, we don’t want to see failure, or whatever our understanding of homelessness is. York City. Social justice is an important focus of the community. Photo by A. Jesse Jiryu Davis. O’Hara uses her privilege as someone who was trained by male teachers who considered her an equal to help empower other Buddhist women and correct some of the wrongs of Buddhist history. 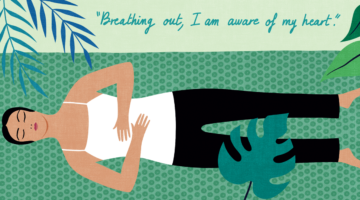 “Women are not often written or spoken about in Buddhism,” says O’Hara. “In our community, we started chanting the names of women throughout Buddhist history, and I saw the faces of the women in the room bathed in tears. Seeing their faces is what woke me up to how important this is to many women. O’Hara sees why certain types of people are drawn to woman teachers. “In particular, the kind of man who is drawn to a woman teacher is probably a little different than the kind of man who is drawn to a male teacher,” she says. “I asked some men students why my teaching appeals to them, and most of them said they wanted something that was open to the masculine, yet without the martial quality of traditional Zen. They liked the softer approach I offer, particularly in terms of body work—meditating in a position of ease as opposed to a position of tension, that kind of thing. If you are having all of your experiences passively, you’re not activating yourself. 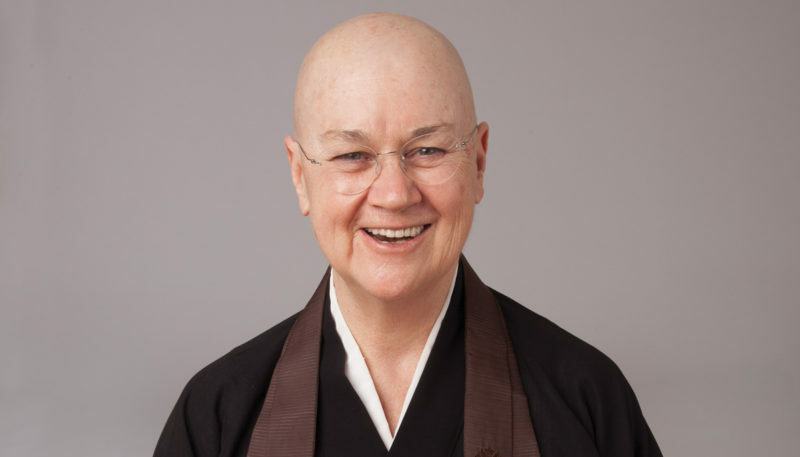 Roshi Pat Enkyo O’Hara in conversation at Village Zendo. O’Hara’s teaching is fueled by interconnection: “We’re sharing the air and sharing the earth.” Photo by A. Jesse Jiryu Davis.